His web site may consist of just a single page, but Matt Drudge is arguably the most influential media personality in the world. Garnering nearly one billion readers monthly, the Drudge Report is able to literally shift public sentiment, making it an essential read for D.C. insiders, Wall Street professionals, and anyone who wants to stay on top of the latest global issues. If Matt Drudge headlines a story its viral spread to millions of readers in near real-time is guaranteed. 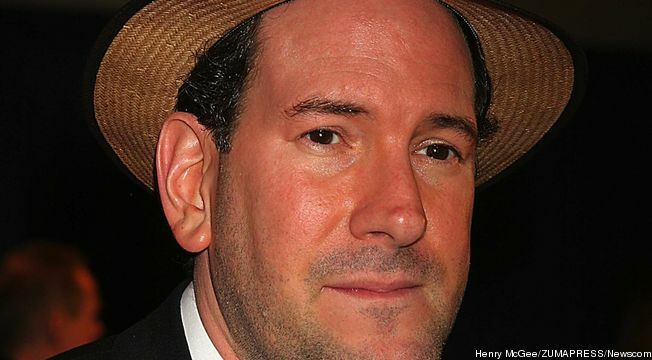 With his established connections to critical spheres of influence that include everything from politics and government to finance and entertainment, when Drudge speaks, people listen. Drudge included no other details with his Tweet. The warning, while cryptic, may be the result of direct insider information. Considering he once nearly brought down the Clinton administration by revealing the President’s indiscretions with a White House intern, one could make the case that if anyone has legitimate sources pouring in from across the world it’s Matt Drudge. Could his warning be for stock market investors regarding foreknowledge of an imminent collapse of financial markets in the United States, China and Europe? Or has Drudge’s access to insiders in key positions given him the ability to connect the dots for an event that may occur in the near future? 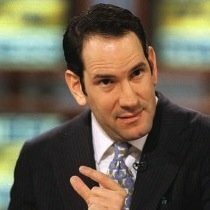 Few may recall, but just three weeks ahead of the September 11th attacks, Drudge headlined warnings of possible strikes on US-based targets, so there may well be a credible insider source for his most recent warning as well. In recent years the mogul has expanded his news distribution service to include alternative news powerhouses like Alex Jones’ Infowars, which researches and analyzes key events and happenings globally. As of late, Drudge has made it a point to link to a variety of topics at Infowars that include the militarization of America’s domestic policing apparatus, Constitutional transgression at the highest levels of our government, and other insider reports often ignored by the mainstream media. While establishment news media shuns the rapidly growing alternative media, a warning to “have an exit plan” is one that the alternative news sphere has consistently suggested, while often being laughed at in mainstream circles. Given Drudge’s massive following, reach, and credibility, perhaps we shouldn’t be laughing any more. Something has spooked Matt Drudge and he’s not alone. Last year one of America’s leading talk show hosts, Mark Levin, warned that the U.S. government has been simulating the collapse of our financial system and society with the potential for widespread violence. There are countless such examples of highly influential media personalities who are issuing similar warnings. Within the realm of the alternative media, the last several years have yielded incredible insights into the inner workings of the U.S. government, political system and economic machinations. Everything from manipulations of our monetary system to the sometimes unbelievable expansion of the American police state has been extensively studied and reported by thousands of independent journalists, broadcasters and bloggers operating outside of the mainstream establishment’s sphere of influence. There have been insider reports indicating that a crisis of unprecedented magnitude is coming to the United States. Contrarian economists, who are almost completely ignored by mainstream media, have warned of dire consequences to the continued operation of our systems of commerce, including our domestic food distribution networks. And though it has not been reported on the alphabet news channels, the U.S. military has been actively war gaming collapse scenarios and engaging in highly suspicious exercises across U.S. metropolitan areas. While Matt Drudge’s latest comments could be referring to anything, given the types of stories he’s covered in recent years we could make the case that he is referring to worst-case scenarios. His exit plan warning may encompass any number of potential scenarios such as a coming shock to financial markets, evacuating major cities in an emergency, preparing for the destruction of our currency, or having a way to get out of the United States in the event of a Soviet-style purge. Whatever the case, Matt Drudge understands that his views and comments are followed by hundreds of millions of people worldwide, thus we are confident that he would not publicly issue such a warning unless he has access to credible information that supports his claims. That being said, we urge readers to remain vigilant. And, in the off chance that some terrible event is in our near future, we strongly suggest having a preparedness plan that includes emergency food storage, barter supplies, medicines, precious metals, and astrategic relocation plan in case you are forced to evacuate your current residence.